#6 Dontey Henderson earned the MVP award during the Team Determined Fall invitational in the competitive gold division. With his team down double digits Dontey displayed his improved shooting making 40% of his 3 point shots. 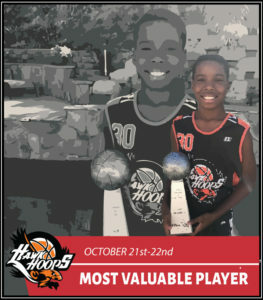 He also had 9 steals in route to his teams come back from behind win in the championship. Great for him and exciting win for his team. #30 Jaiden Agbo is versatile player that is great at attacking the basket and rebounding. His intensity and aggressiveness makes him a value player for his team. 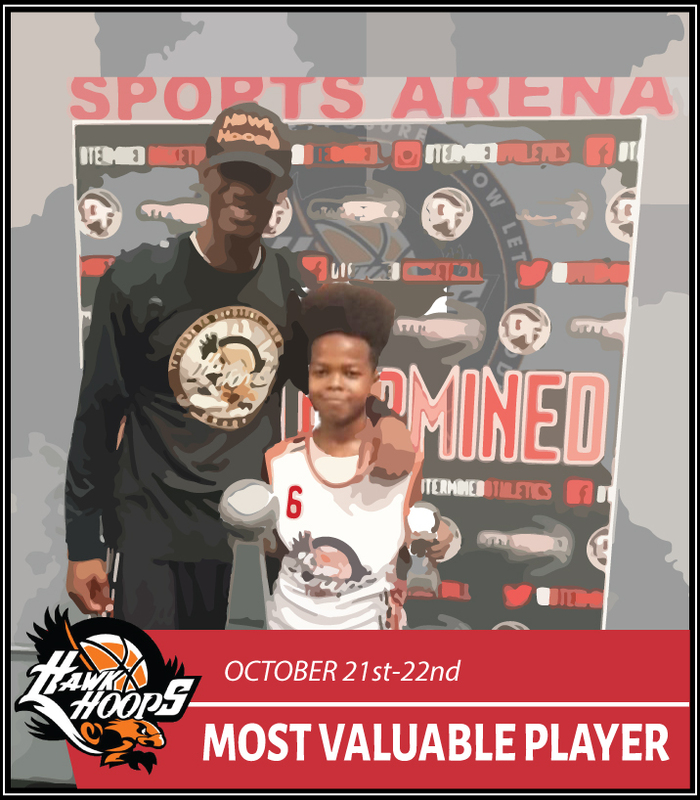 He had great focus and determination during the Team Determined Fall invitational where his team won the championship playing in the tough Open Division and he was rewarded the MVP trophy. Exceptional win for him and his team playing against a always tough Team Determined team. #44 Dane Persek is a 13 year old 6 foot 5, 8th grader that had improved tremendously this past year. He is a shot blocker, he can score at will in the paint and has a really great attitude to go along with his skills. He has become one of the reason why his team is able to compete on a higher level. 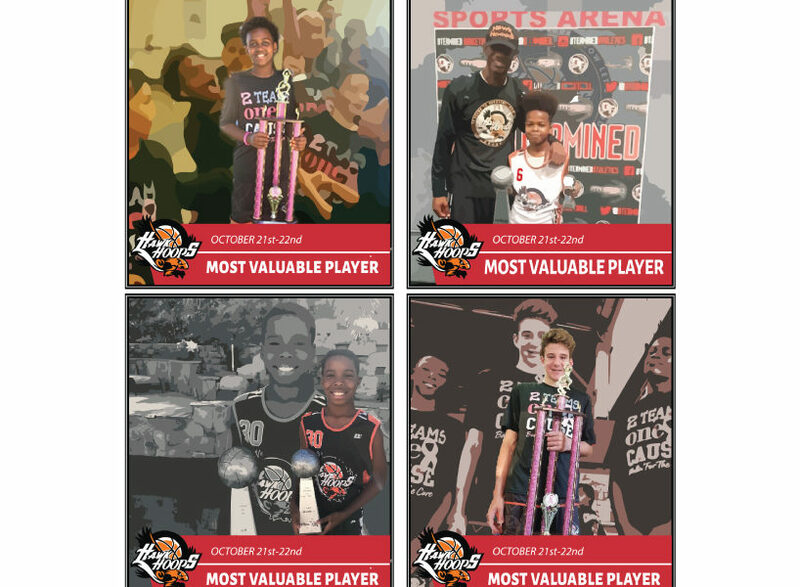 With throwing down 3 dunks in the tournament not only did his team win the championship at the AVAC/Breast cancer awareness tournament but he was rewarded team tournament MVP. #10 Khaeden Asher-Grady has improved with his play and attitude since joining our program. His tenacity and aggressive style is a pleasure to watch. 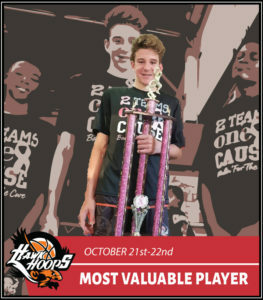 He played very well during the AVAC/Breast cancer awareness tournament. 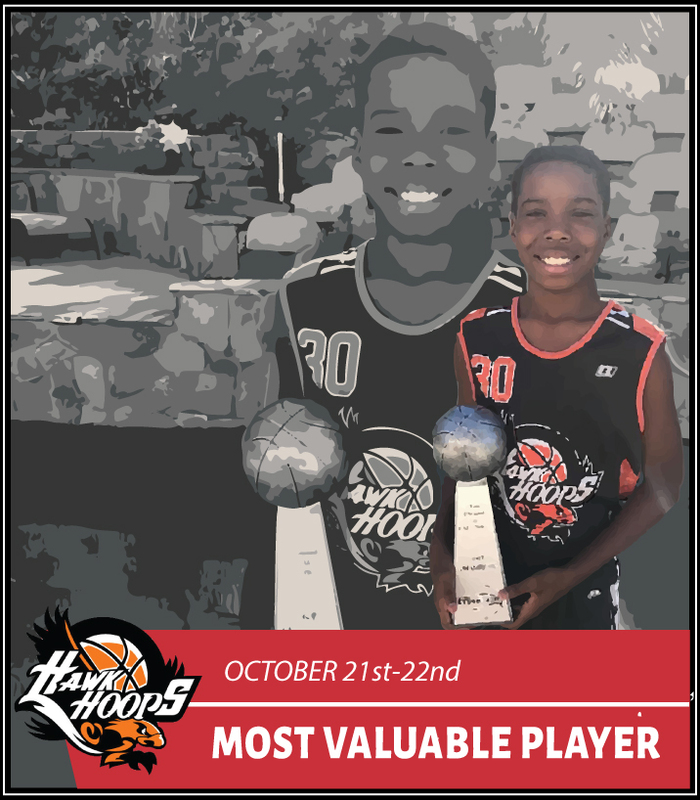 With his productive play and fact that his mom is a breast cancer survivor was fitting for him to earn the MVP trophy and his team winning the championship by two points. 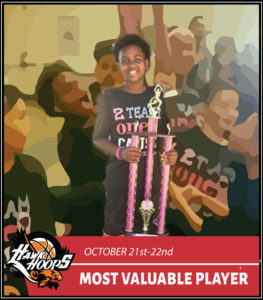 Get more information on Hawk Hoops’ programs and how to participate.